The most popular feast having both a religious and nationalistic character is the Feast of Vartanants, which usually occurs in February, on the Thursday preceding Lent. It is a symbol of the conscience, the faith, and the general rebellion of Armenians against tyranny; their effort to preserve their identity and freedom. It is a symbol of their endless sacrifices, and their willing and cognizant martyrdom. This symbol is not only a source of pride for Armenians, but in the history of all nations it is a page to be contemplated by all. 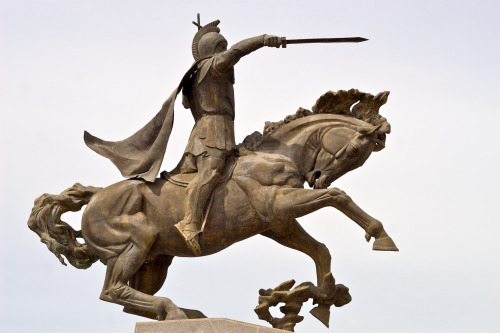 The battle took place on May 26, 451, a consequence of the following events of Armenian History. 1. Finally, after an intermittent war of long duration between the Greeks and the Persians, an agreement was reached whereby Armenia was to be divided between them. The Greeks, without delay, put an end to Armenian sovereignty and declared their occupied region of Armenia as a new state of their empire, with a military commander as governor. The Persians, more prudent, allowed their sphere of influence in Armenia to retain royal dominion with her own rules and practices, subject, however, to Persian royal decree. 2. By the year 428, however, the Armenian kingdom of the Persian regions had also been nullified, and thus the Arshaguni (Arsacid) dynasty came to an end. This event took place during the reign of Bahram V Gor (420-438). 3. Bahram’s successor, Yazdigerd II (438-457), gave an altogether new alignment to Armeno-Persian relations. Both Armenian and foreign his­ torians have regarded Yazdigerd as one fanatically opposed to Christianity and Jewry. By nature he was a ruthless individual. He was married to his very own daughter whom, not long later, he had put to death. “And all these wicked thoughts enter into a man’s mind because of his lack of knowledge. A blind person is deprived of the sun’s rays, but an ignorant person is deprived of a full life. It is better to be blind in the eye than in the mind. As soul is greater than flesh, so vision of mind is greater than that of the body… a king is not responsible for himself alone, but also for the loss of life he has caused others. Even though we are not allowed to slander the sovereign, yet we can­ not praise one who quarrels with God either.” (Yeghishe, Chapter 2). Yazdigerd II harnessed all his authority and resources to enslave the people of the lands he had vanquished – Armenians, Georgians, Huns – to absorb them into the Persian religion. “…Now he hissed and coiled himself like a poisonous serpent; now he reared and roared like an enraged lion. He writhed, rolled, and squirmed with his deceitful design, determined to achieve his purpose. Because he was unable to reach and bring within his power all the Christians, since they were not all in one accessible place, he began to give preference to the youth over the aged, the contemptible over the honored, the ignorant over the wise, and the coward over the brave. And, in short, he promoted all the undeserving and demoted all the deserving. He even widened the gap be­tween father and son. 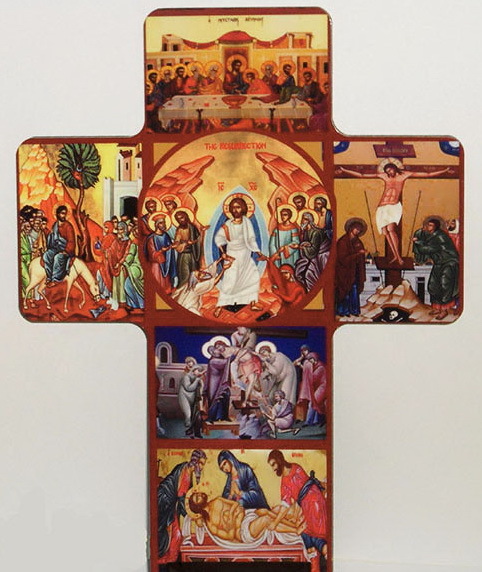 Although he dealt thus unjustly with all nations, he persecuted the Armenians more than all the others, because he observed them to be the most zealous in the worship of God, especially those who belonged to the families of the Armenian nakharars who had sincerely adhered to the holy teachings of the apostles and the prophets. He beguiled some of them with gold and silver, and many other abundant gifts; still others with grants of hamlets and villages; and some with posts of honor and authority; and all with false promises. Thus, he continually allured and exhorted them, saying, ‘If you would only accept the doctrine of the magi and the truth of our renowned and excellent religion by abandoning your heresy, I would make you equal to my beloved nobles in greatness and distinction. I would elevate you even higher…” (Yeghishe, Chapter 2). It was with such temperament that Yazdiger reigned, from 442 to 449. When it became recognized that indirect approaches produced no result, and, instead Christianity was spreading continually, he unwillingly discarded his approaches and publicly issued the following order. “All peoples and tongues throughout my dominions shall abandon their false religions, and shall come to worship the sun. They shall bring offerings to it and call it god. And they shall render homage to the fire, and in addition on all these, they shall fulfill all the ordinance of the magi, without omitting any detail.” (Yeghishe, Chapter 2). Along with this severe order, Yazdigerd II put the entire land under an unprecedented authoritarian dictatorship. • Nakharars were set one against the other to create an atmosphere of hostility throughout the land. And finally, he removed Vahan Amatuni from his military command. Amatuni was regarded as the protector and “father” to Christians. He was replaced in command by a Persian as Commander and a mokbed as Chief Justice. The Persian monarch’s injustice reached unprecedented levels. “Who could describe the weight of the dues, imposts, duties, excises, and taxes on hills and plains and woods? These were collected in a manner unworthy of royal dignity. They seized like robbers, and in the end they wondered how the land of the Armenians whence all these treasures flowed could yet remain prosperous.” (Yeghishe, Chapter 2). In the end, believing that the time was ripe, Yazdigerd sent a comprehensive letter-directive to all the Armenian notables, through the Grand Vizier of the Persians, Mihrnerseh. In it, before setting forth the precepts of the Persian religion (Zoroastrianism), he proclaimed the following. “Be it known to you that every man who dwells beneath the heavens and holds not to the Mazdian religion is deaf and blind, and is deceived by the devils of Ahriman …” (Yeghishe, Chapter 2). The letter-directive closed with the following. “Now then, there are two ways open for you: either you answer this letter point by point, or you shall come to my court and present yourselves to the Great Council.” (Yeghishe, Chapter 2). In order to prepare a response to Yazdigerd’s letter-directive, a meeting was convened in the capital city of Artashat, of the Province of Ayrarad. Attending from all of the districts and provinces were all the bishops, other high-ranking clergy, priests, and leading princes (nakharars). This great national assembly was presided over by Catholicos Hovsep. After the attendees had carefully examined all the points raised in the king’s threatening letter-directive ,they prepared a fitting response letter in which they, in a tranquil tone, set forth an elucidation of the Christian faith. The Armenian Christian faith and its universal truths and orthodoxy were explained. The letter composed then still today retains its sage and unique beauty. Its superb thoughts and ideas, and its patriotic content have had their unmatched influence on our cultural and nationalistic endeavors throughout the centuries of our history to the present times. The response letter said, in part, “The hands which founded heaven and earth are the same which carved on tablets of stone and gave us a scripture wherein the laws of peace and redemption are contained, in order that we might acknowledge on God as Greater of the visible and the invisible, not one good and one evil, but the same one, good throughout” (Yeghishe, Chapter 2). Further, in the response letter, they wrote discrediting the concept of the Persian religion of two separate gods, that of good and that of evil. “One country cannot have two rulers, nor one creature two gods. Should two kings venture to rule over one country, the country would be destroyed, and the kingdom comes to naught.” (Yeghishe, Chapter 2). The close of the response letter is at once daring and beautiful. “From this faith no one can shake us, neither angels nor men, neither sword nor fire, nor water, nor any or all other horrid tortures. All our goods and possessions are in your hands, our bodies are before you; dispose of them as you will. If you leave us to our belief, we will, here on earth, choose no other master in your place and in heaven no other God in place of Jesus Christ, for there is no other God. But should you require anything beyond this great testimony, here we are. Our bodies are in your hands; do with them as you please. Tortures from you; submission from us. The sword is yours; the neck is ours. We are no better than our forefathers who, for the sake of this faith, surrendered their goods, their possessions and their bodies. Were we even immortal, it would become us to die for the love of Christ; for He himself was immortal and so loved us that He took death on Himself, that we, by His death, might be freed from eternal death. And since He did not spare His immortality, we, who became mortal of our own free will, will die for His love willingly, so that He may make us participators in His immortality. We shall die as mortals that He may accept our deaths as that of immortals. Do not, therefore, interrogate us further concerning all this, because our bond to faith is not with men to be deceived like children, but with God to Whom we are indissolubly bound, and from Whom nothing can detach or separate us, neither now, nor later, nor forever, nor forever and ever.” (Yeghishe, Chapter 2). The letter was signed by all the clergy and lay leaders participating, and it was sent to the royal court. The Persian hazarabed (military commander) and the mokbed, having learned of the contents of the letter, set about without delay to create provocation. The king, feeling intensely denigrated, “ground his teeth as one mortally wounded.” He issued a harshly worded order to summon the important Armenian leaders to appear at his court. The Armenian leaders, remaining faithful to their vows made at the Artashat meeting, repeated their vow of faithfulness before Catholicos Hovsep, and unwillingly started out for Persia, knowing full well that they might not return alive. They arrived at the palace on the Saturday before Easter Sunday. Yazdigerd, having put aside common courtesies and protocol according to expected tradition, received them, displaying an extremely harsh and rude manner. “He roared and said, ‘I have sworn by the great Sun God, which illumines the whole universe by its beams and gives life to all creatures by its warmth, that if on the morrow at its magnificent rise you do not kneel before it with me and acknowledge it as god, I will not spare you but will bring upon you all manner of persecutions and tortures, until you, even against your will, shall carry out my commands.” (Yeghishe, Chapter 2). The Armenian nakharars responded to the threats by reminding the king of the military services they had performed, of their loyalty, and of the substantial taxes they had paid; all of which had been even more and greater during his reign than at any other time. Vartan spoke up and fearlessly declared that the convictions of Christianity he had studied beginning at an early age were truths which he could not disavow, preferring even to die than to depart from those truths. The king, holding that his demands were irrevocable, issued an order of imprisonment with the following declaration. “You cannot nullify my strong conviction, and I will not let you have your wish so easily. I will banish all of you and those among the troops to Sagastan in heavy chains, through impassible regions where many of you will perish from the heat, and survivors will cast into strongholds and in escapable prisons. I will send into your country innumerable forces, with ele­phants, and will have your wives and children banished to Khouzastan. I will destroy, ruin, and obliterate your churches and so-called shrines. And should any man oppose my will he shall be trampled upon by wild beasts and shall die a merciless death. I will accomplish and carry out all that I have said on all who remain in your land.” (Yeghishe, Chapter 2). The Armenian nakharars were led off to prison. Prayers were being said in prison. Firm declarations of faith were being murmured. All of those imprisoned scorned the kind of life the king would have granted them if they renounced their faith. The jailers had never before come upon Armenians or Christians with such firm faith. One of the king’s advisors, secretly a Christian, sensed the severe catastrophe that was threatening the Armenian prisoners and the entire Armenian world. He approached some of the prisoners in confidence and advised them that their only escape from their impossible situation was to feign renunciation of their faith of Christianity. Coincidentally, word was received at the palace at about the same time that the Persian army had been soundly beaten by the army of the Kushans (white Huns), and that many regions of the land had been left in ruin. With such conditions prevailing, the Armenian leaders began serious consideration of the proposition. It was difficult to persuade Vartan to join in pretending to renounce the faith. But finally, in order to be released from prison, they did decide to pretend renunciation, but vowed on the Gospel to remain faithful in their hearts to the vow made at Artashat. Without delay, they sent word to the king. Yazdigerd was overjoyed. He believed that with the help of the Armenians he could probably overcome the Kushans. So he praised the Armenian nakharars lavishly for their renunciation of faith, and promised them large holdings. Then, he assigned a large cavalry unit, about seven hundred teacher-magi, some mokbets and soldiers, to accompany the Armenian nakharars on their return to Armenia with great honors, also setting forth the following condition. Within one year all regions of Armenia were to be con­verted to mazdaism, with provisions for educating the people in the new faith. The enthusiasm was so great among the accompanying magi that they began to cast lots to determine which regions would be assigned to them to carry out their mission. The sad news of their apostasy reached Armenia even before they had arrived. Mourning spread throughout the land. All the people were inflamed . The Armenian people felt themselves dishonored in the eyes of the many other Christian peoples who would look on them as guilty of the sin of idolizing material goods, and of turning to the worship of demons and false doctrine. Meetings of protest, exhortations to resistance, and call for rebellion permeated the nation. It became a decision nationwide for all – men, women, workers, noblemen, clergy, and hermits – to prepare themselves for battle. “Let the hand of a brother be raised against a brother who has abandoned the league of God’s command. Let a father not spare his son and the son not show regard to his father’s dignity. Let a wife oppose her husband and a servant resist his master.” (Yeghishe, Chapter 3). The large assemblage of approaching magi reached the Armenian city of Anengh, which was in that very agitated spirit. A body of Armenian rebels, armed with swords and clubs, had rushed to the same city to curb the actions of the magi. A most perilous situation had developed. For weeks there was a stand-off. Then, when the magi started to carry out their mission, the resistance was frightfully intense. Many were killed on the spot. The intense fighting created panic and terror. The mokbed called on the governor, who then was Vasag, and protested that it was impossible to carry out the task assigned them. Vasag responded, insisting that with the force of the military the mission could surely be carried out. From this initial action it became clear that Vasag was in truth an apostate, disavowing his faith and working in support of the Persian king. And in contrast, it became clear that Vartan Mamigonian remained faithful to his people and to his faith. The rebels, elated over their success, began a clean-up operation. They took many fortresses and important military positions, and reached the governor’s main headquarters. After besieging the headquarters, they cap­ tured Vasag himself. Aware of the threatening danger to his life, Vasag made a false avowal that he was true to the Armenian people and to his vow at Ar­ tashat, claiming that his apparent cooperation with the magi was misinterpreted in the king’s court and that he was in truth only pretending apostasy. The people, having become strongly united through the power of faith, became more and more an irresistible force. Life meant death to them, and death was as assured life.” (Yeghishe, Chapter 3). All at once, virtually all of Armenia was feeling itself liberated. Nevertheless, the leaders had no doubt that the Persians would counterattack. With that concern in mind, they decided to call on the Greek emperor Theodosius for help. The emperor agreed to help so that the churches in the east would not fall prey to the heathens. However, the emperor died before he could take any action. His successor, the Emperor Marcian, adopted an opposite policy. Instead of giving defensive support to the Armenians, he extended a helping hand to the Persians. He concluded a peace treaty with them, agreeing and promising not to provide Armenians with military assistance. In this struggle for conscience and for freedom, the Armenians were once again left alone. Nevertheless, “Although they were well aware of the smallness of their numbers, and of the alliance of the monarchs, yet they were not dismayed like cowards; but true to their original pledge, they said, ‘we are prepared to slay and to be slain. It is easy for God to accomplish the work of many through few and to perform noble deeds through the meek.’ Without a king to lead them, or assistance from any foreign powers, but relying on their own valor and the comforting words of the holy teachers, they congregated speedily in one place with the troops from each of the nakharars. Many horsemen from the royal house had also arrived.” (Yeghishe, Chapter 3). The military forces were organized into three army units, each with a specific mission – to protect the homeland, to clear the surroundings of threatening, hostile incursions, and to be prepared for later invaders. • Nershabouh Rumposian took over the defense of the Azerbaijan frontier. • General Vartan was to clear out the Persian troops and the magi who were ensconced in regions along the borders of Armenia for the purpose of disseminating mazdaism. • Vasag Suni was to command and reinforce the internal security forces. These three military units, independently, prepared for action. For months on end, Vartan gained distinct successes in neutralizing various Persian forces. 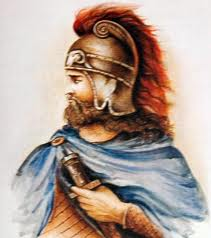 Vasag, using deceitful tactics, strengthened his army unit in Armenia, in the meantime cooperating with the Persians. He sent emissaries secretly to Yazdigerd, reporting that he had already disjointed the Armenian military forces, that he had sent the first army unit to the provinces of Her and Zarevant, and the second army unity to the land of the Aghouans, and that he was ready to collaborate in putting down the rebel forces. Vasag also established strong ties with the Persian commander Mihrnerseh, trying to demonstrate his faithfulness toward the king, with the hope that he would later be elevated to become king of Armenia. In this manner Vasag deceitfully signaled faithfulness within influential Armenia religious and lay circles and at the same time treacherously collaborated with the Persian royal palace and with its military elements, giving in­ formation about strengths of the Armenian forces and about their movements. 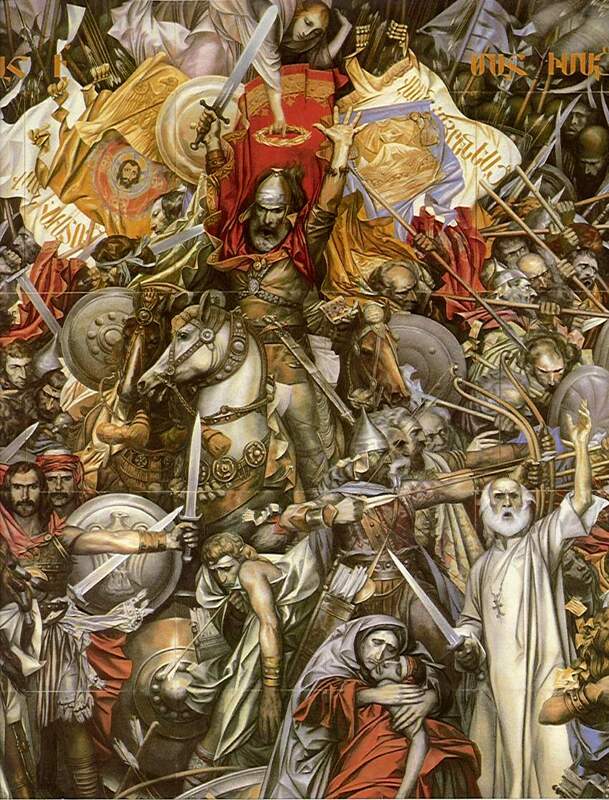 The Persians having mobilized a force at least three times as large as the Armenians’ made ready to crush the Armenian will for freedom and identity. The final preparations for the battle confrontation were made by the Persians in Ardaz. Vartan prepared his army to be in readiness both militarily and psychologically. He addressed the troops in a soul-stirring manner. He counseled. He expressed such thoughts that have not only timeless value, but also show how harmoniously faith and patriotism were blended together in him. “You and I have been in many battles together. In some we triumphed over our enemies gallantly; in others we met defeat at their hands. But our victories have been more in number than our defeats. But all these, however, were for personal glory because we were fighting at the command of a mortal king. He who deserted was branded a coward throughout the land and met merciless death; whereas he who pressured onward valiantly inherited fame from bravery and received splendid gifts from a temporal and mortal king. We all have numerous wounds and scars on our bodies, and there have been many deeds of valor for which we have been excellently rewarded. But I consider all these notable accomplishments ignoble and useless and all the honors idle, because they will all fade away.” (Yeghishe, Chapter 5). After about two years of both secret and open preparations, the definitive clash between the Armenian and the Persian forces took place on the fields of Avarayr, in the province of Artaz, on May 26, 451. The brave fought courageously, and the valiant roared… They attacked each other fiercely and many on both sides fell wounded on the field, rolling in agony. Thus he (Vartan) created such a great disorder that the troops of the Madyan corps were dislodged from their prepared position and were put to flight without actually being defeated. There on the battlefield consciousness of defeat came to both sides, because the piles of the fallen bodies were so thick that they looked like piles of rocks. But the valiant Vartan with his brave warriors played no lesser havoc in that place, where he himself made the supreme sacrifice of holy martyrdom. One’s heart would be crushed and his intestines convulsed at the sight of huge heaps of fallen corpses… Because there was no victor and no vanquished, but braves clashed with braves and both sides met defeat.” (Yeghishe, Chapter 6). The Armenian Church shows its supreme recognition of these martyrs by having consecrated the whole group, calling them collectively the Vartanian Saints. There is no doubt that among the martyrs, Vartan, as leader, commander, irreproachable patriot, and devout believer emerged as the most loved and revered figure. But the patriarchs of the Armenian Church have included mention in their hymns dedicated to the Battle of Avarayr the names of the other commanders who were martyred alongside Vartan. They symbolized the patriotism of many princely families and feudal lords. They too took part, also making the ultimate sacrifice. These are the names of the principles who were martyred, with the names by which their royal clans were known, and their losses. Also 740 martyrs from the Arshakuni, Artzruni, and other households. Total, overall: 9 princes + 287 + 740 = 1,036 martyrs. With their principles of what life demands, the Vartanians occupy a most worthy place in the pages of the history of the Armenian people and their Church. Among the martyred, Vartan has become a symbol of courage, sacrifice, patriotism, and unfading faith. The Armenian Church and its people not only simply observe the feast day set aside for the Vartanians, but they organize public meetings and festivities with speakers, ceremonial services, special sermons, etc. Armenian intellectuals and artists will long probe the Vartanian epic for aspects of expressions that will move the Armenian spirit with its character, and in so doing reflect its truth and beauty. Today, foreign peoples and governments having become familiar with the epic Vartanian struggle, and with the factors that led to it, have begun to express their admiration and esteem. For example, in France and in Lebanon, the governments have issued proclamations declaring Vartanants day a holiday, thus enabling Armenian officials, schools and universities, and institutions to honor the memory of martyred heroes. Many churches built over the centuries have been dedicated in the name of the Vartanians. In those countries of the Diaspora where there are many Armenians, especially in Lebanon and the United States, there are churches named after the Vartanian saints. Popularly, apart from the community-wide celebrations, the Feast of the Vartanians becomes an occasion for family gatherings in honor of those who are named Vartan, or the names of any of the other martyred commanders – Khoren, Ardag, Dajad, Hmayag, Nerseh, Vahan, Arsen, Karekin. Such occasions are observed with friends and relatives gathered together for a meal and joyous celebration. The high religious and national worth and the moral force of the reverence for the martyred commander becomes especially marked among the people when youths, or others, decide to join the ranks of the clergy, and the Catholicos and the bishops ordaining the candidate assign the new name of the postulant to be one of the names of the martyred commanders. In April of 1978, the New York City Council, under Mayor Edward Koch, decided unanimously to name the city recreational playground at 35th Street and Second Avenue St. Vartan Park. It is across the street from the St. Vartan Armenian Cathedral and Diocese. That decision was made after the Council had examined the circumstances of the Battle of the Vartanian Saints, which was based on the struggle for freedom of conscience and religion, and on the defense of the principles of human rights. A copy of the formal declaration to name the park was given to His Eminence Archbishop Torkom Manoogian, then Primate of the Diocese of the Armenian Apostolic Church of the Eastern United States, later Patriarch of the Armenians of Jerusalem. In the Armenian homeland, Commander Vartan is, in a sense, alive today, and his presence is continually felt by subsequent generations. His statue, astride his horse, stands on a main thoroughfarein the capital city of Yerevan, seen daily by tens of thousands who are inspired by it. It is sculpted with high artistic and public standards, reflecting the heroic martyr’s patriotism. The reader must not regard this abbreviated account of Vartan Mamigonian’s heroic life, of his hallowed purposes, and of the details of the history of his clan and family, as ample. It is essential to read the writings of authors of the Golden Century of Armenian Literature – the “History of Vartan and the Armenian War,” by Yeghishe (Elisaeus) – in order more thoroughly and deeply to know and comprehend the great works and the hallowed purposes of the lives of the greats of that era. Although we have most noble feelings about the persons and the works of countless numbers of our greats in history, we must say, however, that if it were not for Lazar of Pharbe and especially Yeghishe, it is probable that the Vartanians would have appeared in books of the history of the Armenians with only a passing mention, such as occurs with other persons and events.